Everyone knows that a facial can leave your face looking and feeling fresh. This can be taken a step further with a Hungarian Facial, an anti-aging treatment that involves classic facial techniques with a massage. The results you get from this treatment continue to improve in the following days, making it an excellent option for facial rejuvenation. What Is a Hungarian Facial? Your typical facial involves three steps: cleanse, exfoliate, and treat. What sets a Hungarian Facial apart is the massage what follows these steps. Very specific techniques are used on the face to give the muscles there a workout. Before beginning the massage portion of the facial, a generous amount of hydrating cream is applied to the face. The purpose of the massage is to help oxygenate and “wake up” the muscles in your face. 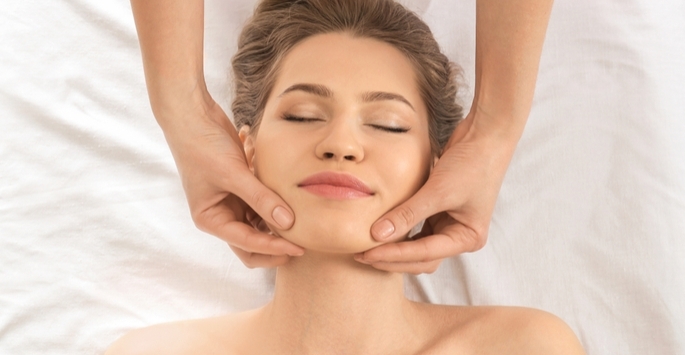 After you have your Hungarian Facial, you can expect to see your face and neck tone up. Your skin will look plumper, wrinkles will be reduced, and you may find yourself putting on less make-up. There are moves to warm up, workout, and cool off your skin. The “Fan,” for example, involves rolling a brush over the face, helping raise the temperature. The last step in the process is applying a cream to help reduce any redness or inflammation that may have resulted from the treatments. You walk out of the office looking and feeling younger, healthier, and refreshed! This treatment often involves LED light therapy for further benefits. A soothing scalp massage can be done at the same time to add to the relaxation associated with the experience of a Hungarian Facial. If you are interested in learning more about getting a Hungarian Facial at Eva Claiborne Beauty & Wellness and what it can do for your skin, visit our office in Tiburon, CA. Contact us today to schedule your consultation and experience the benefits of this exciting facial rejuvenation option for yourself.